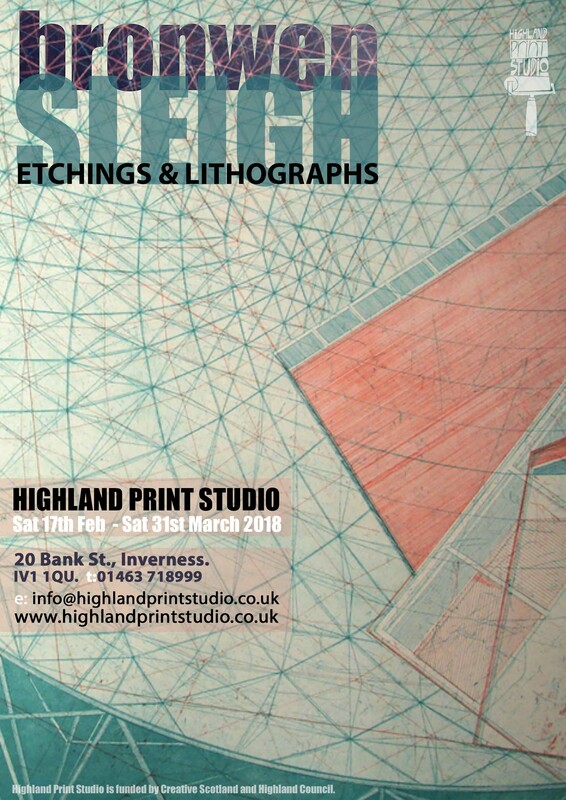 Highland Print Studio is exhibiting a selection of etchings and lithographs by internationally acclaimed Bronwen Sleigh Artist. Bronwen regularly tutors screen printing and etching classes in the Studio. Meanwhile, at Inverness Museum and Art Gallery, more of Bronwen’s work – including sculpture – is on show as part of four-artist exhibition ‘A Fine Line’, until 12 May. Want to learn screen printing? We still have spaces on Bronwen’s upcoming screen class at the Studio on 21-22 Apr. For more info see here.